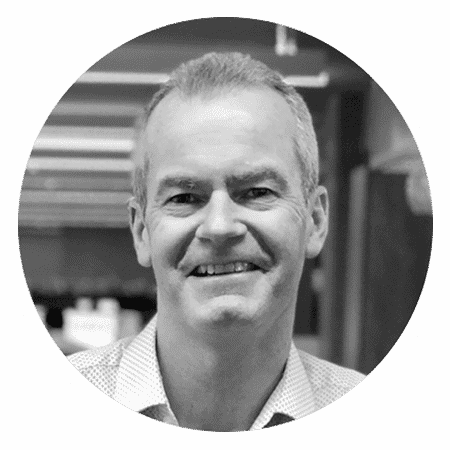 Rob: In today’s question, we are going to touch on something that we get asked a lot by clients, which is how to consider buying property, whether it’s your first time with buy-to-let or whether you are looking to grow a big portfolio and you have some already. Tax is, certainly, a key consideration. Tax is, obviously, going to be a very wide topic. But I guess, from an investor’s viewpoint, there have, certainly, been a lot of changes, Marshall, with buy-to-let, tax changes, let’s say, with purchasing properties, stamp duty, holding property, interest costs, things like that. How do you see that playing into the crowdfunding space? Do you see any potential, for investors to get something that is slightly different from what they currently have? Marshall: I think the big change, over the last few years, is the government has changed their tax laws to, basically, disincentivise individuals from investing in buy-to-let property. So, until recently, it was possible to offset mortgage interest, against the income that you generate from a given property, from the rental. And therefore, you would only pay personal tax on the profit, after the mortgage. Now, that mortgage relief, as it is called, is being slowly withdrawn. A lot of buy-to-let investors may not have closely followed this and won’t realise until they have to do their accounts. Rob: And it is also being tapered, over the next couple of years. So, when their tax return comes around or they have that conversation with their accountants, they will find out. Marshall: That’s right. So, a number of people will get quite an unpleasant surprise, let’s say, in their 2019 tax return, when they realise that the tax shield, as we call it, from the mortgage interest, has been gradually withdrawn and in some cases they’ll end up, if they own three or four or five buy-to-let properties, the income tax they’ll have to pay on their gross rent will actually exceed the profit they make, on those properties. Marshall: The reason I mention that is because, through property crowdfunding and certainly with Property Partner, we invest through companies. So, each property that we buy or group of properties is put into a company and that company can then raise a mortgage. Because as a company, It still gets the benefit of offsetting that mortgage interest against corporation tax. So, although the company will still pay corporation tax, it will be after mortgage interest and therefore, in essence, it is a bit like it was for buy-to-let investors, in the old days. How buy-to-let investors are addressing that, well, some of the bigger ones are incorporating, so, they are moving all their properties from being owned, personally, into being owned by a company. That’s not always easy because they have to, essentially, sell them, from their own ownership into a company and there are capital gains tax issues that arise. But you can avoid all that by investing via a crowdfunding site that has this corporate structure already set up and maintain those tax-shield benefits. This is something to look very carefully at, if you are thinking of investing in property and looking at the buy-to-let route, I would advise people to look very carefully at the tax issues before they embark on a strategy because it is sometimes quite complicated. Rob: There are all kinds of underlying issues that people need to consider. Marshall: And the other thing to think about… When you talk about yield, that’s a very interesting point because many people see yield as the figure that the rental on that property will generate. And they sometimes forget to take off all the costs that they will incur, in letting the property, maintenance, management, those incidentals, those void periods. 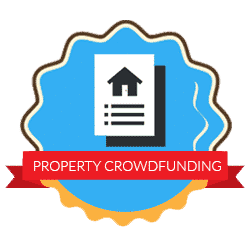 In the better quality of crowdfunding sites and certainly with Property Partner, we always quote net yields, that is the actual yield that you will get, into your account, at the end of every month. And that, very frequently, will be quite a different figure from the gross yield, by a factor of 30% to 40%. So, take care to compare apples with apples and watch out for those tax changes. Marshall: The stamp duty change has also hit buy-to-let investors and most people do understand that. Buying a secondary property incurs additional stamp duty charges of 3% or so. All-in-all, I think, it tips the balance in favour of, when you add in the liquidity and the diversification benefits of crowdfunding investing, as opposed to direct, individual investing, It does tilt the balance in favour of that, for an individual investor. It’s very worthwhile, to consider it. Rob: I appreciate that this is a rabbit-hole, type of question with property tax but when it comes to the reasoning behind these tax changes, from a government perspective, do you see it as the professionalisation of the market? Are they trying to get companies to have ownership of properties because it makes it more open and professional, in terms of the management and the running of those properties and the quality of the properties, being provided? And do you see that as being good for the market, in terms of where Property Partner sits, with all the due diligence you do when it comes to sourcing and management? Do these changes align with that thought process? Marshall: I think, the underlying issue, in the UK, at the moment, is there are just not enough properties, for the numbers of people who want to buy them. I think there is a political consensus that the growth in buy-to-let has, perhaps, resulted in a reduction of available properties to buy. You need a pretty advanced economic strategy, to really understand how the property market works and I think there are several arguments to say that, withdrawing or making it more difficult for properties to be let out, won’t necessarily fix the underlying problem, that the government is trying to fix. However, I think it is true to say that, in general, everyone would agree that the landlords, who are not treating their tenants fairly and operating with proper regulation and doing things right, are undesirable and certainly at Property Partner, we manage nearly a thousand, individual units now and we try and do a very solid job and a fair job and treat our tenants in the best way, possible. And I think, that is a professionalisation of letting and it is a positive thing. So, there is a lot of political interest in this area and different pressures coming from different points but I think it would be good to see the letting industry play a good game and keep standards high. Rob: Fantastic. Thank you very much.